W. W. Norton & Company, 9780393074314, 128pp. Whether praising the time "wasted" in fraternity basements; mentioning that, frankly, the worst days of your life still lie ahead; or simply asking that graduates avoid wreaking the kind of havoc that others before them have, Wheelan softens his candid conclusions with good-natured charm and tales of unconventional success. 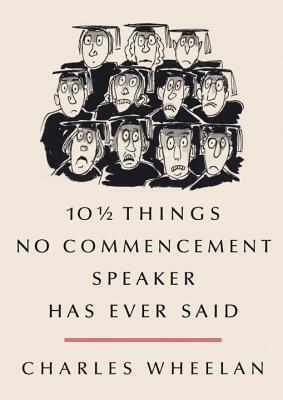 With cartoons sprinkled throughout to keep things light, this volume makes a perfect gift for graduates of all ages.